Immediately firing all weapons company Global HMD, specially created for the revival of the Finnish brand, did not. Often, what first appears flagship model, which holds his chest and says he is ready to dethrone the iPhone or Samsung Galaxy S. Remember, for example, a startup Andy Rubin’s Essential that stalled even before the first device has reached a potential buyer. characteristics simultaneously probing the willingness of customers to respond to the name and hoping for some sales. Along with smartphones, has received a digital indexes 3, 5 and 6, released and a push-button phone – the heir to the legendary 3310. The thing, frankly, is more than controversial, but the role she fulfilled admirably – about “return of the legends” talking all. Against the background of these conversations and can smartphone sales to slowly expand. Three models fall in a price range from 10 to 16 thousand rubles – the most popular among buyers. All three smartphones are similar, they have a common design (which is good), but not outstanding on the background of Chinese competitors characteristics. However, and not a failure too. Today we talk more about the older of the trio, Nokia 6. The smartphone is based on the platform Qualcomm Snapdragon 430, equipped with 3 GB of RAM, 32 GB flash memory, LCD display with a diagonal of 5.5 inches and Full HD resolution and a fingerprint scanner. 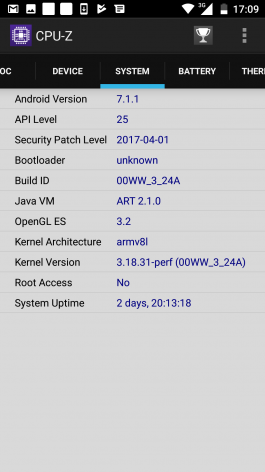 The main feature of the smartphone (in addition to the two labels “Nokia” on the front panel and back cover) – “pure” Android latest version (7.1.1 Nougat), with a promised maximum operational updates. Nokia, that is a HMD, said about a very close work with Google. While many companies are struggling to make a smartphone different from another “black rectangle”, Nokia decided to take off upstream, making their devices deliberately simple design without the curved back panel, edge-to-edge screen and other tweaks. But “six” is not devoid of the breed. For smartphone for 16 thousand roubles Nokia 6 executed perfectly – if fully covered with glass front panel is no surprise, then face and back cover brushed metal for the budget segment has not started things for granted. The most enjoyable part – two frames of polished, unpainted metal on the perimeter. Smartphone pleasure to use, the build quality is excellent. Nokia but 6 is a large smartphone. He doesn’t stand out in this respect relative to its direct competitors c displays the same diagonal (Honor 6X, Xiaomi Redmi 4X), but it is perhaps the only good news. One hand to cope with it easy around the screen wide frame, the case is quite thick (but not slippery). I note are too low the “Home” button — to touch her thumb, you need to bend it at an unnatural angle. It is advisable to do this, hold the smartphone second hand, and so long and to drop it. 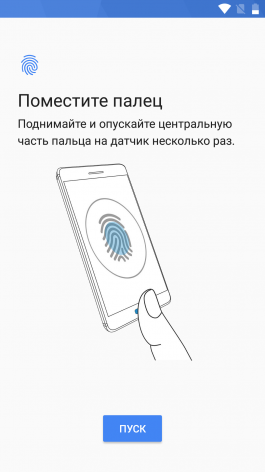 Additional awkwardness lies in the fact that it is in the key built into the fingerprint scanner, so to touch it’ll have every time you want to do something with a smartphone. Inconvenient location of the sensor on the back would look more appropriate. There are five variants of Nokia 6 colors: black, silver, Indigo, copper and Arte glossy Black (with a large amount of RAM and nonvolatile memory, more expensive and not yet sold officially in Russia). On the back cover in a matte version fingerprints, but I would not say that in a particularly critical quantities – nothing terrible happens, it’s not Honor 9. With front panel also fine – there is an oleophobic coating, and is quite effective. Interfaces and keys are located in the usual places. To the right is the power button along with long pressing the volume button on the opposite side is a slot for SIM-cards and/or memory card, top-to – mini-Jack, bottom – microUSB port. Yes, in 2017 continues to come out smartphones with microUSB, not only in ultrabudgetary segment. It does not seem a good solution. Next to the already mentioned above the key “Home” (touch) touch are two same shortcut navigation control. To swap them is impossible, the left is always responsible for return to the previous screen, right – for the menu of open applications. By itself, the fingerprint scanner has not been too great. This is a conventional capacitive sensor, nothing special – but he has a very small surface, in the manner of the Sony Xperia (which have the sensor built into the side of the phone). Because of this, I had almost record time to spend on it to record the mark. 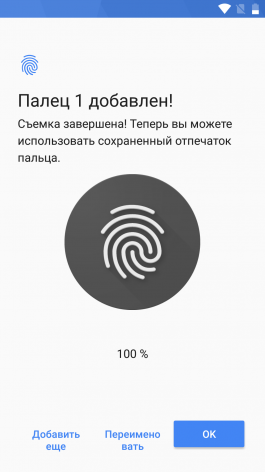 To unlock the device as well sometimes we have to spend two or three touch. Some options of using a scanner, in addition to unlocking and confirmation of payment Android Pay, not stock Android, no frills brand Nokia is not added. 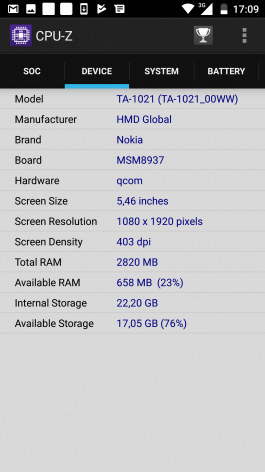 I have already indicated pure Android and immediate updates above as the key feature of Nokia 6 the words of the representatives of the Global HMD was empty: just a couple of days after the start of the test already came the first update. What does it mean? Standard user — in the first place at least the problems with security holes. If you are an Android enthusiast, then you’ll be able to enjoy all sorts of small pieces that Google constantly adds to its OS. Here Nokia suddenly occupy a niche gone into oblivion Nexus. 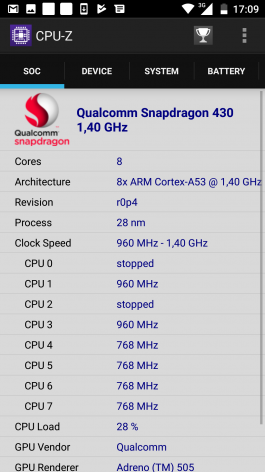 The smartphone works very quickly and smoothly – I can’t believe what’s inside only Snapdragon 430 and not the platform is older and stronger. Stability is also no problem. And, of course, no extra applications by default. All at the mercy of the user.